If you could have fillings that perfectly matched the colour of your existing teeth so well that nobody could tell the difference, wouldn’t you choose them over the artificial look of metal fillings? The good news is that now you can! At Forster Dental Centre we offer tooth-coloured restorations that scientific studies and clinical experience have shown to be safe, reliable and long-lasting. Plus, they look great. Not only do tooth-coloured fillings offer a more aesthetically pleasing alternative to “silver” (amalgam) fillings, they can also allow a more conservative treatment method that preserves more of the tooth’s original structure. Tooth-coloured fillings are a blend, or “composite,” of silica fillers and plastic resins. This blend mimics many of the qualities of natural tooth structure, such as wear-resistance and translucency. Dental composites also help strengthen teeth. Let’s take a look at the tooth restoration process offered by tooth-coloured fillings. How a filling is placed. There are many reasons a tooth may need to be filled or restored: decay and chipping are the two most common. The procedure begins with anesthesia (usually by a numbing injection), and the tooth is “prepared” by removing decay. Next, the filling material is placed into the tooth. Once it has securely bonded to the tooth structure, the process is done. Here is the first significant advantage of a tooth-coloured filling: To build a good bond with a traditional amalgam filling, we often have to shape the tooth with a series of “undercuts” that help hold the filling in place. This requires removal of some healthy tooth material meaning that less of the tooth’s structure remains intact. A tooth that has been weakened in this way can be prone to cracking. But composite resin fillings don’t require this undercutting to bond to teeth — instead, they physically bond directly to the prepared tooth. This means the treatment is more conservative and may create a better and longer-lasting restoration. Here are several other advantages of tooth-coloured fillings. Quick treatment. The filling procedure is painless and quick. 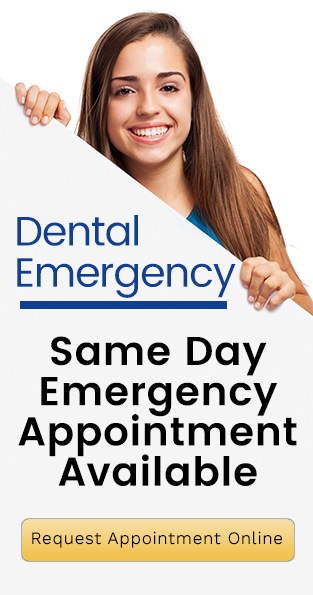 It takes less than hour to treat one or two cavities. 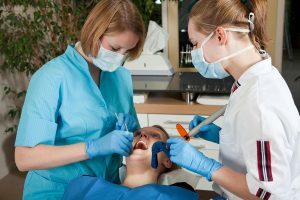 After anesthesia, we remove infected tooth material and clean the tooth. Next, we apply a tooth-coloured resin (blended to match the existing shade of your teeth) into the cavity left behind by the removed tooth decay. We shape the composite resin to maintain your natural bite and harden it with a curing light. Aesthetically pleasant. In contrast to the gold fillings and the silver amalgam of the past, tooth-coloured fillings blend in with the surrounding tooth structure. It is impossible to see that you have had a cavity or filling. When you laugh, speak, or even yawn, all anyone will see is beautiful, white teeth. Long-lived. With proper dental habits, your tooth-coloured fillings can last for a decade or more. Of course, you must brush twice a day, floss daily, and visit Forster Dental Centre regularly. Besides, you should avoid bad habits such as chewing on objects like pens or fingernails and avoid chewing on hard candies or ice. These habits can damage or dislodge your fillings or crack your teeth. Safer for teeth. Silver amalgam fillings tend to expand and contract as the temperature of the mouth changes. This expansion and contraction can put pressure on the tooth, causing it to crack and break. Tooth-coloured fillings don’t expand or contract, making them safer for the teeth. Mercury-free. Silver amalgam fillings contain mercury, which is known to be toxic. Although the amount of mercury in silver amalgam fillings is small and not considered particularly dangerous, many patients opt for a mercury-free option, such as tooth-coloured fillings. In fact, some patients choose to have their amalgam fillings replaced by tooth-coloured fillings for safety and appearance. Improved confidence: Tooth-colored fillings restore your teeth to a beautiful, cavity-free look and feel. You will be able to smile confidently, knowing your teeth look clean and metal-free. Other restoration options. In some cases, a dental filling is not enough to meet a patient’s needs. In these cases, the Forster Dental Centre offers additional dental restorations such as onlays, inlays, and dental crowns. The best option for your needs will be considered during our consultation process. And, while tooth-coloured fillings are great, the best way to maintain a bright and healthy smile is still to avoid cavities in the first place! More about tooth coloured fillings at Forster Dental Centre.